Torre Guaceto. Discover the reserve by bike trekking and scuba diving, or sail in the crystal clear sea thanks to the sailing club, where you can take catamaran lessons, sailing and windsurfing. 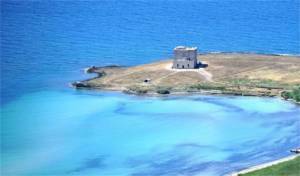 Even people with disabilities can enjoy the beauty of the nature of Torre Guaceto thanks to the services offered by the private beach Punta Penna Grossa. Red Bull Cliff Diving in Polignano a Mare. Now in its tenth edition, the international free fall diving competition attracts thousands of spectators, combining the extraordinary performance of the swimmers with an equally extraordinary back ground. The divers are launched from a platform located between 26 and 28 meters, juggling in unique acrobatics. 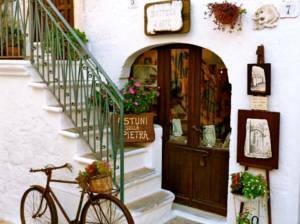 The village is divided into charming alleys that host many other events, less known but not to be missed. The night of the taranta in Melpignano (Lecce). This is an event focused on a particular genre of popular music from Puglia: the pizzica, dance whose accelerated movements are originally attributed to the bite of the tarata. It normally takes place in the last week of August, and has an average of 120,000 spectators. For fans of this dance is an unmissable event, but even the less experienced will not remain indifferent to the charm of the taranta. The patronal feasts. During your stay in the heel of the boot you will most likely incur the typical festivals in honor of the local patron saint. During these events you will get to know the cultural customs of the place, concentrated in the traditional alleys of these places. The history of these villages will captivate you, involving you completely in the romantic atmosphere of our villages.